Alloy steel bits are heat-treated for maximum hardness, toughness and wear. 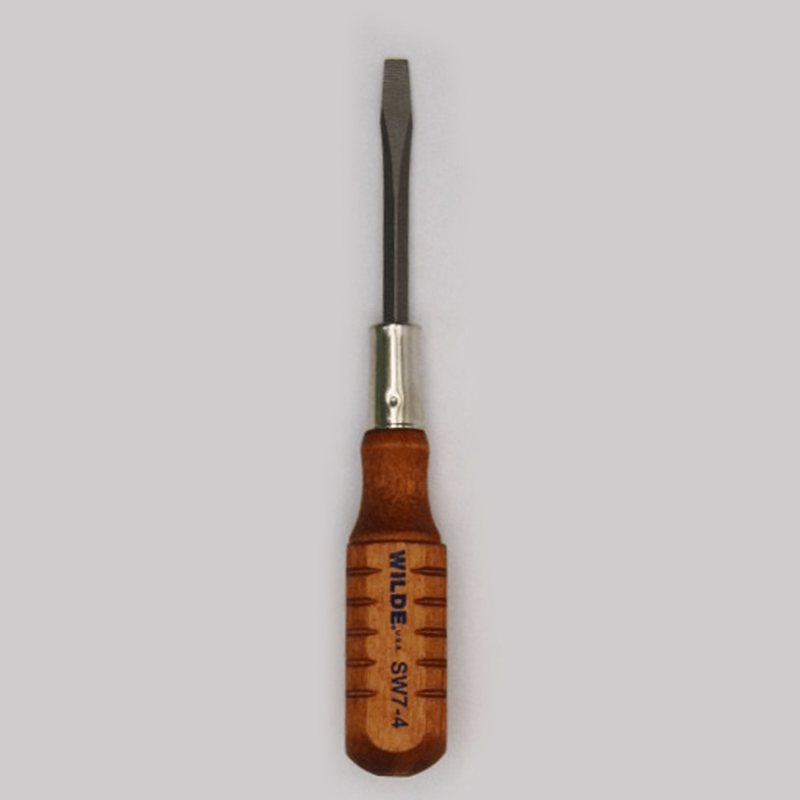 They are forged with extra long tapers to hold in screw slots under pressure without backing out. Bits are satin finish and plated. 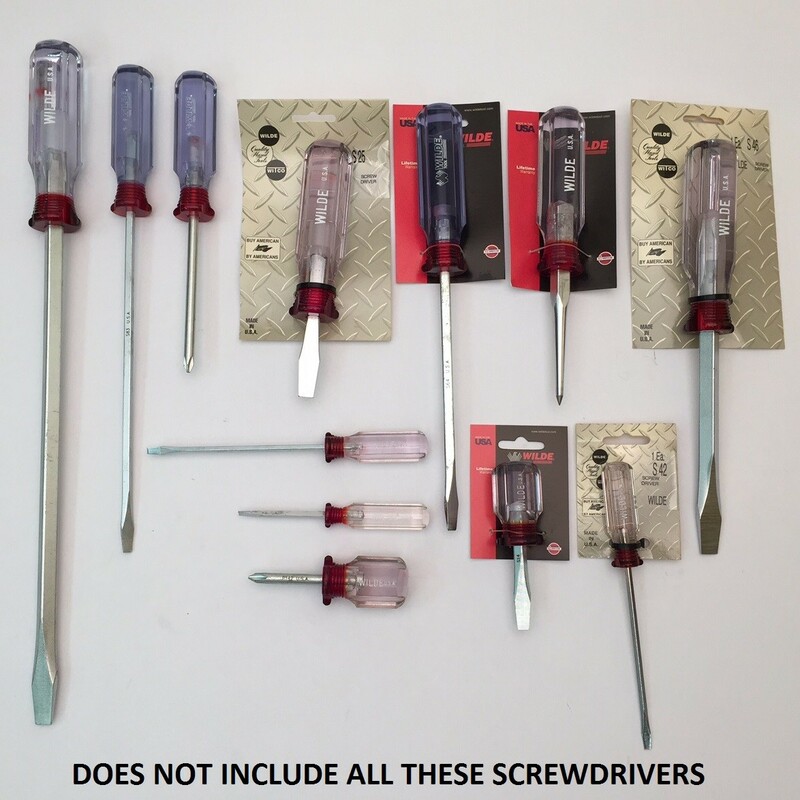 The general use of case hardened self-tapping screws requires a Phillips bit that will fit accurately, stand up and give real service on these screws. 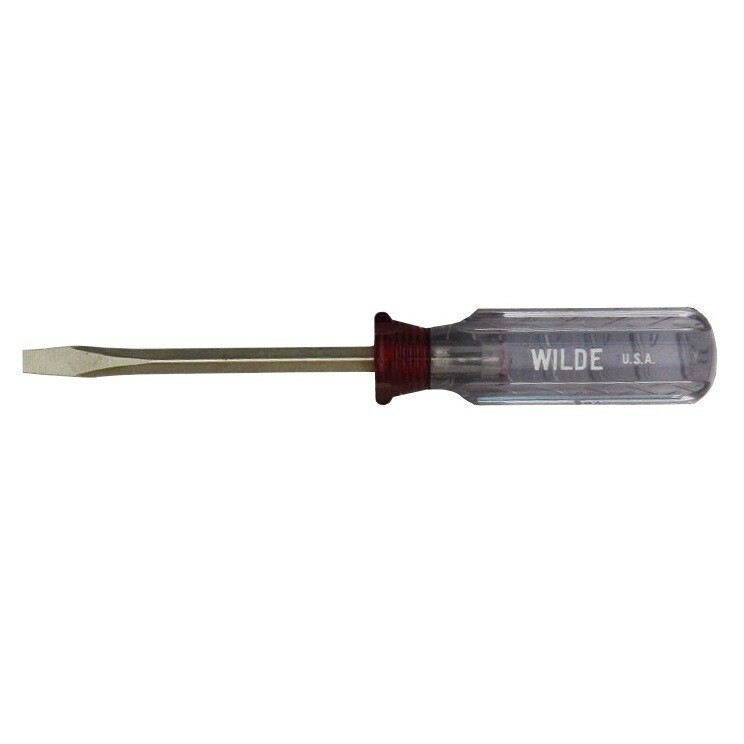 Bits on these screwdrivers are made of super-hard alloy steel, accurately milled to size and plated. Handles are turned of extruded acetate plastic rod. They are non-inflammable, shockproof, break-proof and impervious to grease. 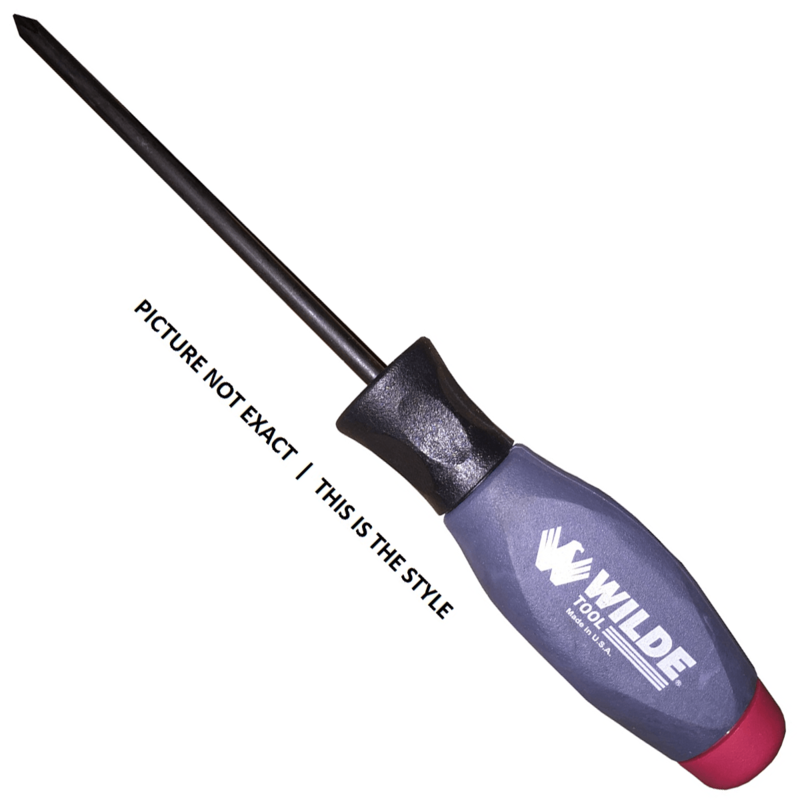 Handles have a comfortable fluted design with extra large diameter and length to give a handful of screwdriver for a high power non-slip grip and will not roll when laid down. *Some of the bits’ zinc-coated plating has begun to oxidized. The imperfection is only aesthetic and does not affect the function of the tool. This issue is the reason for the large discount off retail price.